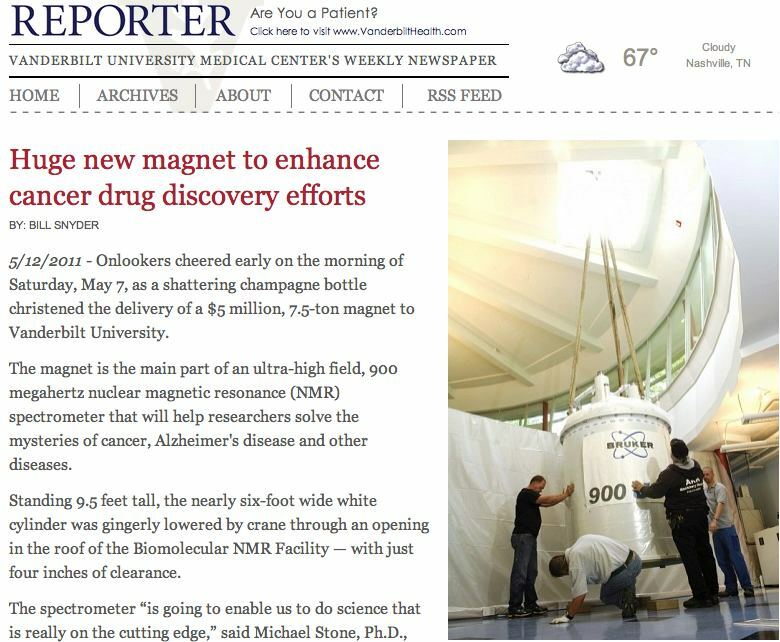 The Biomolecular NMR Facility at Vanderbilt received their 900MHz NMR spectrometer on May 7th 2011..
Nuclear Magnetic Resonance spectroscopy (NMR) is a powerful technique that can provide information on molecular structure and dynamics at the atomic level. The naturally-occuring 1H isotope is the most sensitive NMR reporter. However, the very large number of 1H nuclei in macromolecules, can make the 1H-NMR spectrum intractable. 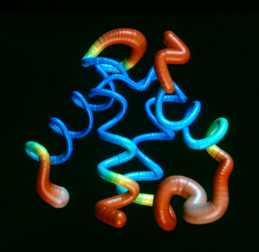 Fortunately, with the advent of multi-dimensional techniques and methods in molecular biology to incorporate 13C, 15N and 2H in biological macromolecules, it has become possible to probe the structure, dynamics and biochemistry of proteins, RNA, DNA, and carbohydrates with NMR. 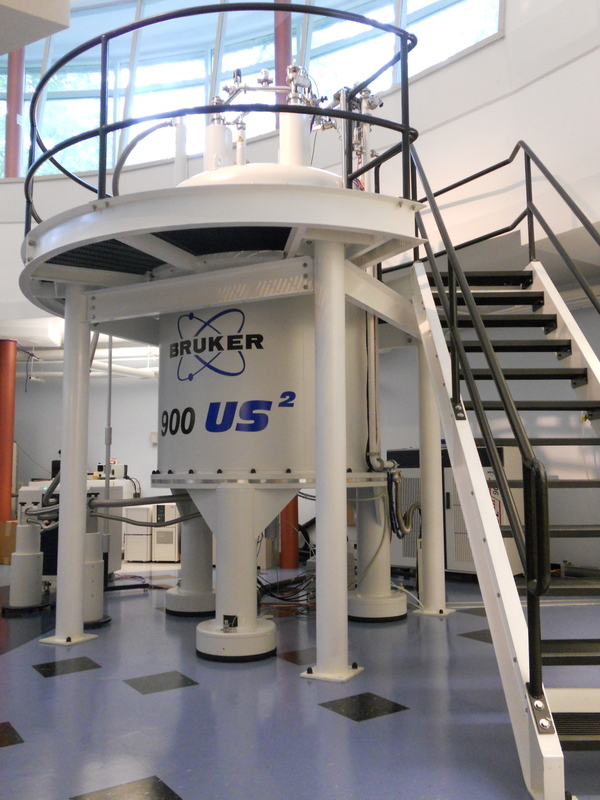 The Vanderbilt Biomolecular NMR center was created as a part of a transinstitutional initiative to develop structural biology on campus. 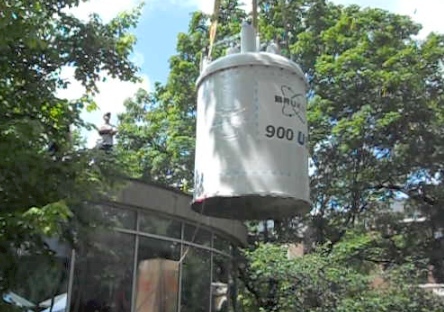 The principal mission of the Biomolecular NMR Center is to provide instrumentation for, and aid in obtaining data on the structure and dynamics of biological macromolecules. The Facility offers state-of-the-art instrumentation, training, software and assistance in designing experiments. 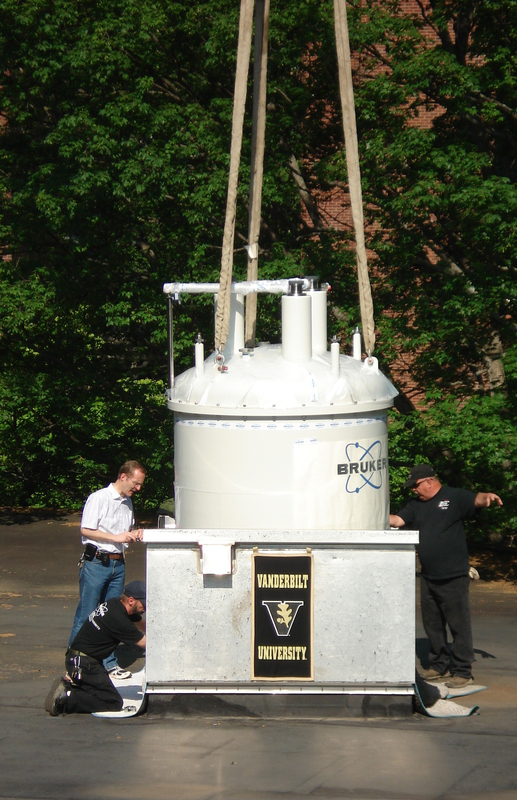 We strive to help the Vanderbilt community realize the potential of biomolecular NMR and to work with NMR spectroscopists to stay current with the most recent experimental approaches. Markus Voehler, Director of Operations.